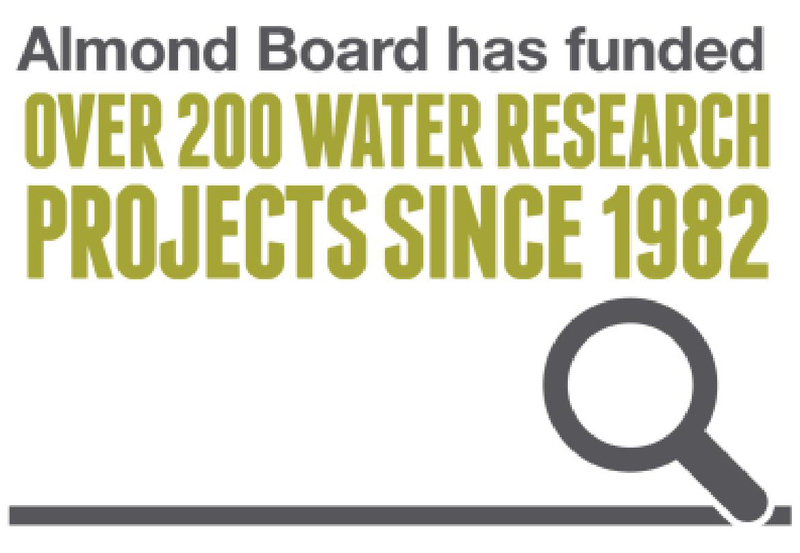 Source: University of California, 2010. 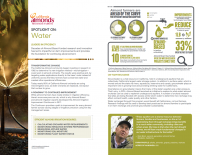 Food and Agriculture Organization of the United Nations, 2012. 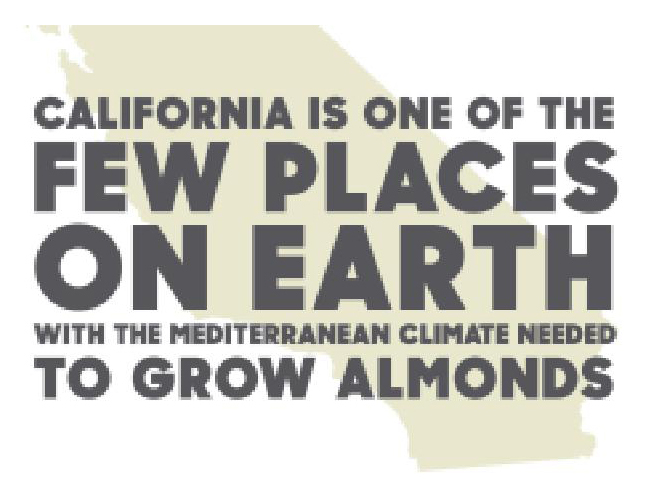 Almond Board of California, 1990-94, 2000-14.
there’s more we can do. 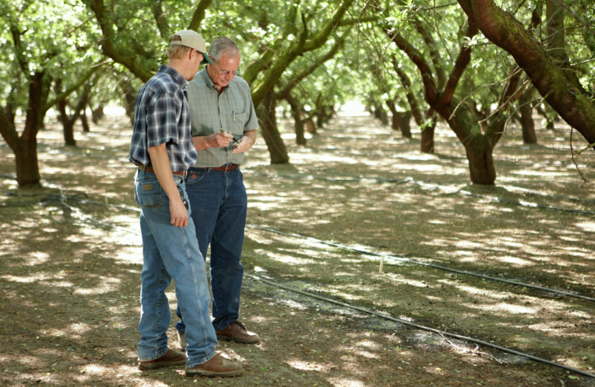 For more than 40 years, the Almond Board of California has invested in the continuous improvement of the California Almond community through scientific research, a commitment totaling $70 million to date. 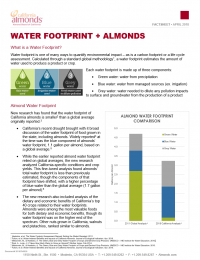 The Almond Board of California is exploring to what extent almond orchards can be used to replenish aquifers when flooded with excess stormwater in the winter. 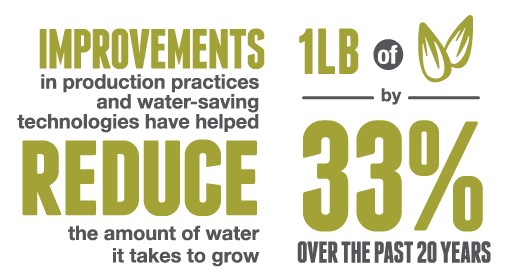 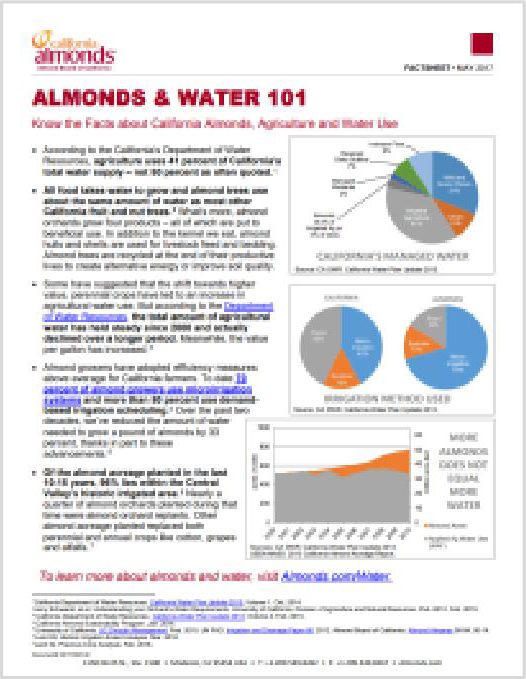 To learn more about the California Almond Community’s commitment to water sustainability, check out these resources or visit our blog.